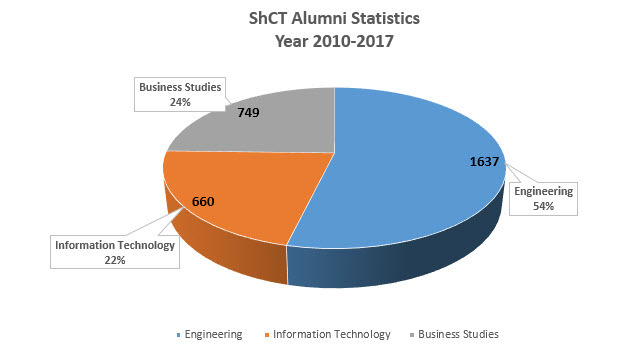 Shinas College of Technology has started its operation in 2005. 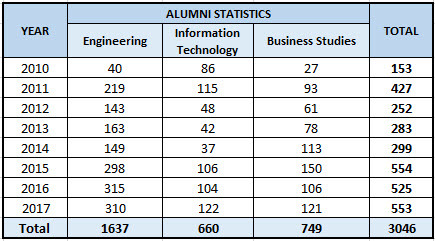 It produced its first batch of graduates in the field of Engineering, Information Technology and Business Studies in the year 2009. The Engineering Department currently offers bachelor’s degree for the following program: Mechanical, Electrical and Civil Engineering. The IT Department also offers bachelor’s degree for specializations in Database, Internet and e-Security, Network and Software, while the Business Department studies offers Accounting and Human Resource up to bachelor’s level, and Marketing up to advanced diploma level.